Happy New Years coLABers and Friends! We hope you all had a fantastic start to your New Year! Maybe you've set your sights on new goals or achievements and are ambitiously embarking on your journey towards them, or maybe you need a little help. Whatever the case, coLAB is here to support you wherever your adventure takes you in 2019! Wishing you 12 months of success, 52 weeks of laughter, 365 days of fun, 8760 hours of joy, 525600 minutes of good luck and 31536000 seconds of happiness! Continue reading this months newsletter to see what's happening at coLAB, upcoming events for the month, and information on our new event series, coLAB Live! Thanks to your feedback, we have started 2019 as a 24/7 coworking space! Using your Kisi app as a digital key, coLAB members* will be able to access the space when most convenient to your work schedule. The front desk will remain staffed from 8 AM to 5 PM. look at what's on the schedule below! Do you love concerts? Live music venues? Win your way in for our first ever coLAB Live event series! coLAB Live is a new event series hosted each month featuring local performing artists. 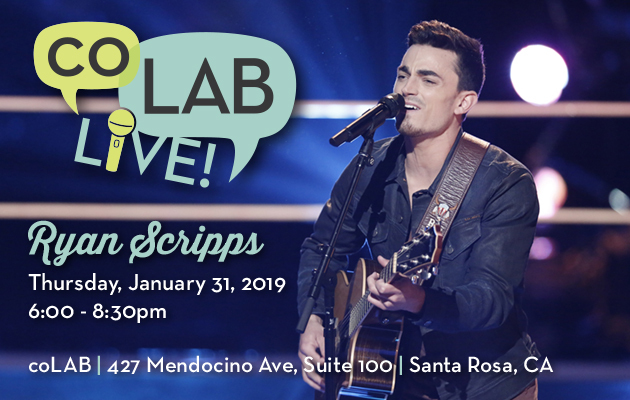 Our first event will feature Ryan Scripps, who will perform a live acoustic set from his debut album Everything But Her. Ryan has been featured as a contestant on the hit TV show, "The Voice", and is from San Jose, CA. He has performed at venues across the U.S., and as a special treat will be interviewed by Dano from Froggy 92.9 to hear how Ryan got where he is today! coLAB Members get exclusive access to tickets! Contact the coLAB Team directly to find out how to receive your tickets! Food will be provided by the Chandi Hospitality group and drinks to be provided by the Santa Rosa Downtown Association. How to embrace your genius and stop judging your weirdness. 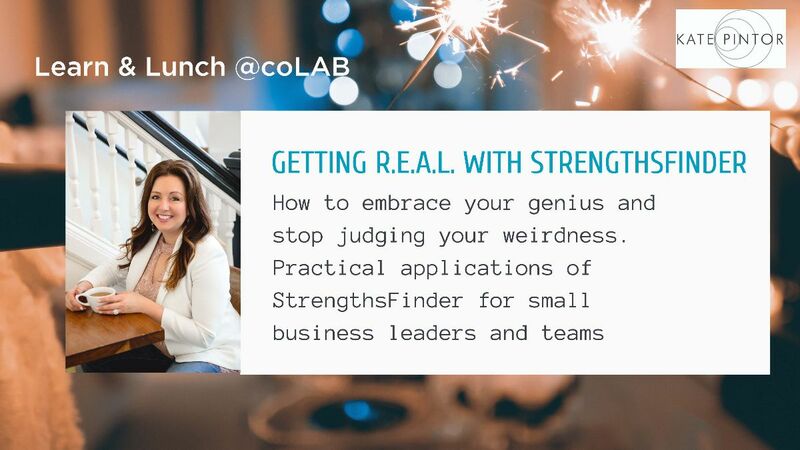 Practical applications of StrengthsFinder for small business leaders and teams. 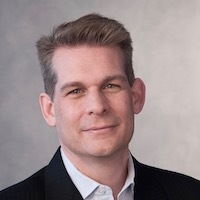 Getting Ready for Success in 2019: Strategic Planning Tools and Techniques Every Entrepreneur Must Know. Every month, coLAB turns the spotlight on members who are making an impact in their community or professional field. The spotlight offers an opportunity to share your professional initiatives with your colleagues, inspire others to consider membership, and strengthen awareness of coworking and community. 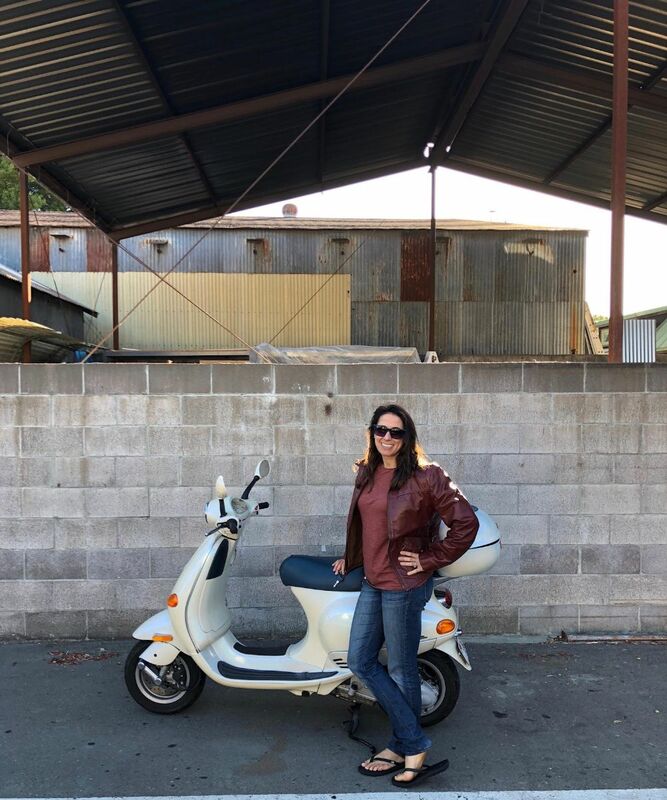 This months member spotlight shines on Rachel (Channah) Zeldin! Hi coLAB colleagues! I’m Rachel, but I also go by “Channah” (produced like Hannah with a soft “Ha”) outside of work. I’m the founder and CEO (chief everything officer) at Funerals360, America’s most comprehensive online funeral planning resource. I’m originally from Philadelphia but have spent the better part of my adult life traveling and living abroad. My husband, our Siamese cat Solomon, and I moved to Santa Rosa 2.5 years ago in search of greener pastures: both physically (we love the outdoors) as well as start-up (hello SF!). We love living in the North Bay, enjoying all that the area has to offer: beer, wine, hiking, climbing, and camping. I started my company, Funerals360, to provide a modern and less intimidating way for Americans to plan funerals. What started off as a little idea has grown into a national site and excellent resource for all things end-of-life planning. Check it out! Our team is all remote, and after working at home for 2 years, I was excited to have coLAB open and provide a beautiful and inviting place to work a couple times a week. I love meeting other innovators and creatives in the area, so please don’t hesitate to say hi or suggest going for a coffee. Want to Settle In at your Favorite Workspace? 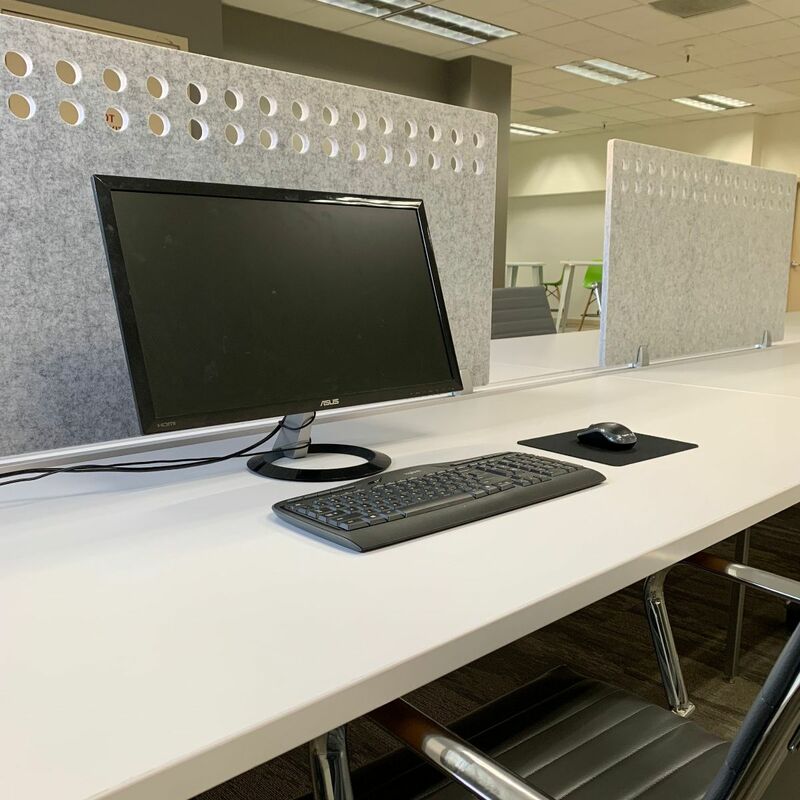 With a Connected Membership, you can bring in your desktop monitor and leave it at your dedicated spot! Traveling and Need a Place to Work? coLAB is now a member of the Coworking Visa Program. View spaces around the world where you could work while away from coLAB! 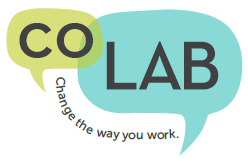 coLAB Referral Program: Do you know somebody who would love working at coLAB? Refer them and receive a little bit of holiday spending money! Are you a broker? Reach out to the coLAB team to learn how you can refer new members! Love your workplace? Leave a review!